How fun is this?! Perfect for your LOs! 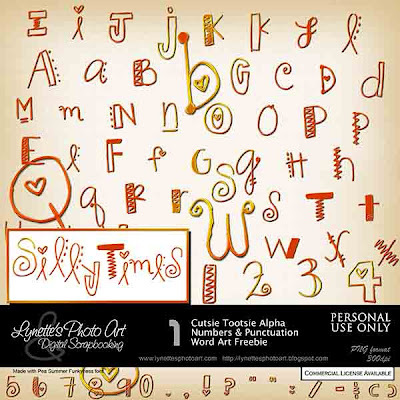 Cutsie Tootsie Alpha includes numbers and lots of punctuation too. It's in my PayPal store for just $1.25. Click image to enlarge. Click Buy It Now button below image to purchase. Today I'm giving you this word art to sample. Enjoy! 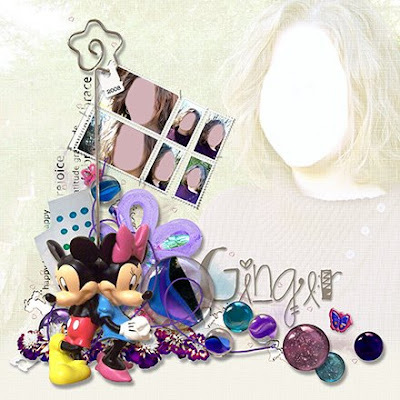 I made this using Pea Summer Funkyness.